Two days after Prime Minister Narendra Modi paid tributes to Bhupen Hazarika and took a swipe at previous governments for delaying the Bharat Ratna conferred posthumously on the celebrated singer this Republic Day, Hazarika’s son Tej, protesting the “painfully unpopular” Citizenship (Amendment) Bill, put the government on notice Monday, saying the Bill was “actually undermining” his father’s “documented position” and “would in reality be in direct opposition to what Bhupenda believed in his heart of hearts”. “Bharat Ratnas and longest bridges, while necessary, will not promote the peace and prosperity of the citizens of India. Only just popular laws and foresight on the part of leadership will. Numerous media journalists are now asking me whether or not I will accept the Bharat Ratna for my father. I go on record here to answer that A), I have not received any invitation so far there is nothing to reject, and B), how the Center moves on this matter far outweighs in importance the awarding and receiving of such national recognition — a display of short-lived cheap thrills,” Tej Hazarika, who is based in the US, said in an email statement to The Indian Express. In New Delhi, Ministry of Home Affairs officials declined comment, saying they are yet to receive a formal communication from Hazarika’s family. Assam and other states of the North-East have been roiled by protests over the Citizenship (Amendment) Bill which seeks to relax Indian citizenship eligibility rules for immigrants belonging to six minority religions — Hindus, Sikhs, Buddhists, Jains, Parsis and Christians — from Afghanistan, Bangladesh or Pakistan. The Bill is listed for consideration and passage in Rajya Sabha Tuesday. 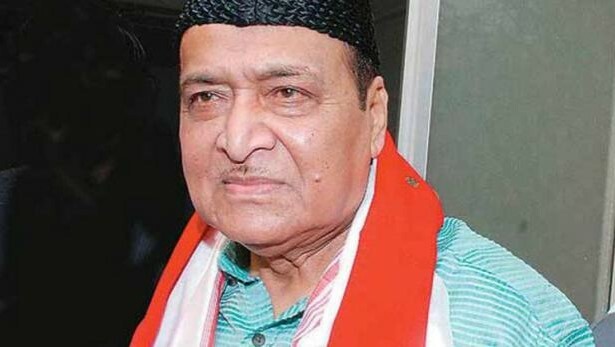 Bhupen Hazarika’s songs and lyrics, in multiple languages including Assamese, Bengali and Hindi, centred, among others, on themes of internationalism, equality, peace, unity between religious and linguistic communities and even the tribulations of working-class life.